Last year, NPQ reported on a number of big pharmaceutical companies and their new corporate business model of buying the rights to drugs and then precipitously increasing prices nearly out of sight, offering philanthropic “relief” to those who cannot afford the co-pay cost. Insurers, including Medicaid, are charged full freight, driving up the costs of healthcare. The practice of buying older, neglected drugs for rare ailments only to turn them into specialty drugs is an offshoot of this. For instance, Turing Pharmaceuticals recently acquired Daraprim, a 62-year-old drug used to treat toxoplasmosis, a serious parasitic infection, and raised its price from $13.50 per pill to $750, then immediately donating a million dollars to a co-pay charity. 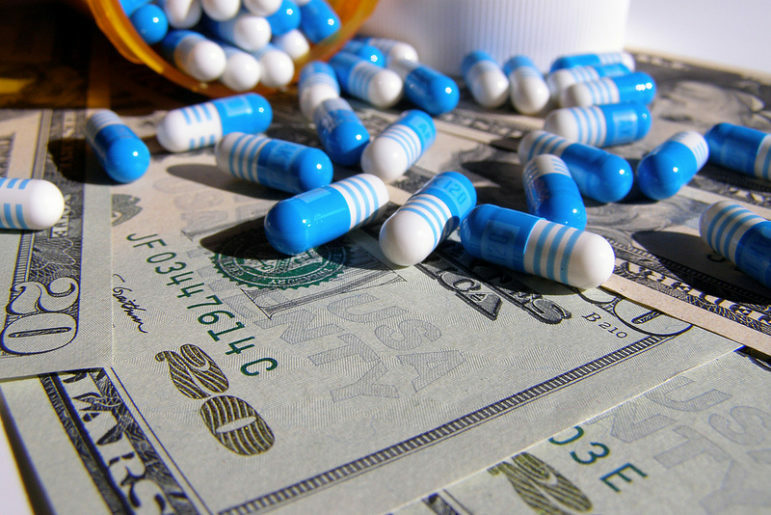 Recently, federal investigators have started to investigate this version of “corporate philanthropy” practiced by major pharmaceutical companies to see if there is proof of federal regulations being ignored. Bloomberg News reports that Valeant Phamaceuticals International, Gilead Sciences, Biogen, and Jazz Pharmaceuticals have all received subpoenas from the U.S. Justice Department over the past year, and the examination appears focused on the closeness of the relationship between the corporations and their so-called charitable activities. Now, Beverly Brown, a former sales representative of Celgene Corp. claims in a federal suit that Celgene donated hundreds of millions of dollars to charities that help patients afford the co-pays for its high-priced drugs for multiple myeloma and other cancers “as part of a core business scheme to gain billions” from Medicaid, which pays the largest portion of the bill. Patient-assistance charities are structured as independent funds to provide co-pay assistance to people with specific diseases and they are funded primarily by Big Pharma. They are accused of serving as PR “foils” to help attract patients to high-priced drugs. The drug companies must take care, however, in that they are prohibited from trying to steer charitable contributions toward paying the costs of a particular drug that they might produce. Under a federal law known as the anti-kickback statute, drugmakers are banned from giving direct co-pay help to the country’s about 40 million Medicare patients with prescription drug coverage. But they can make contributions to charities that help patients—provided the charities are independent and there’s no coordination or detailed information shared on how the drugmakers’ donations are spent. Even as pharmaceutical prices continue to rise, growth among these funds has been phenomenal. Bloomberg reports that the top seven of these funds more than doubled in size from 2010 to 2014, when they reported more than $1.1 billion in contributions. But contracts between Celgene and the Patient Access Network Foundation, or PAN Foundation, and Chronic Disease Fund, or CDF—required the nonprofits to give the company significant information according to an expert witness report including the number of applicants for co-pay assistance, the average amount of co-pays, the total amounts paid out, and the amount of Celgene’s donation that remained available for use.